Publish the author’s name using the following format: By Tim Jones , Better Government Association. Link back to our home page, bettergov.org, in that credit line. You are viewing the original version (1519 words). As City Hall and Springfield flirt yet again with gambling expansion, the odds of that wager translating into a payoff for taxpayers appear to get longer and longer. Consider these grim numbers culled from public records: The $1.36 billion in total gambling revenue that poured into Illinois coffers last year was no higher than in 2006, despite the addition in the intervening years of a bustling new casino in Des Plaines and tens of thousands of video gaming terminals in bars, restaurants and stand-alone parlors. In 2018, in the middle of a broad economic boom, Illinois’ 10 casinos all saw fewer customers, gross receipts fell for all casinos but two and overall tax revenues were down dramatically from a decade earlier. The same lackluster trends hold true across the region. Almost four dozen commercial casinos are within a six-hour drive of Chicago and nearly two of every three are seeing revenue and customer traffic tail off. Chicago’s current mayoral scrum is top heavy with candidates advocating for a city casino as part of the solution to chronic fiscal ills. Many Downstate communities are also pushing for their own casinos. 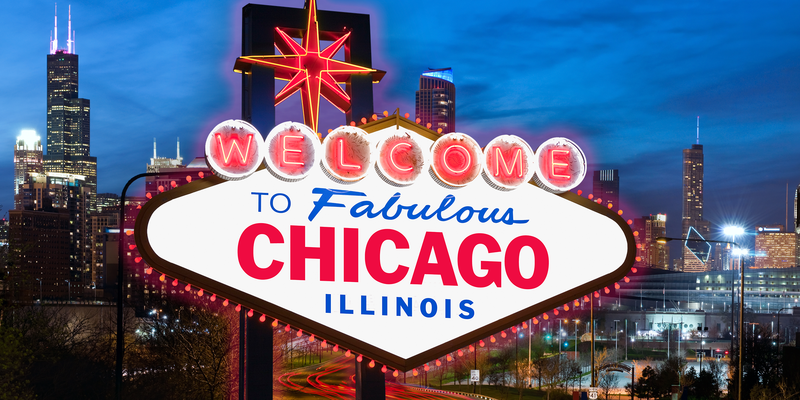 Yet experts say there is growing evidence Illinois and surrounding states have hit peak saturation for legal gambling and that future expansions will only cannibalize existing operations. Even more ominous, the pool of willing customers may be aging out. “One thing for sure is that there has been continued growth in casino competition over the past decade or two, and this increased competition has made it less likely that any single casino can take its long-term survival for granted,” said Tom Garrett, an economist at the University of Mississippi who follows trends in legalized gambling. Gambling in Illinois and the Midwest is undergoing some of the same market, demographic and technological stress that long ago killed off Blockbuster Video and is now contributing to the ills of movie theaters and big-box retailers such as Sears. Millennials, practically weaned online, are embracing esports, fantasy sports and skill-gaming while shunning the slot machines and table gaming that long lured their parents to casinos. That in some ways mirrors significant shifts in gambling tastes over the decades that have altered the industry in Illinois. Loading... In the mid-1970s, horse racing dominated a small legalized gambling market in the state. In the ‘80s, the lottery took over, and a decade later the casinos generated more than lottery tickets, though the lottery has since recaptured its lead. Horse racing is now a bit player, and while video gaming terminal revenue from 30,000 machines has soared since the first was installed in Illinois in 2012, the total take from all forms of legalized gambling stagnates. Flatlining gambling revenues overall, and plummeting numbers for casinos in particular, hold the potential to throw a monkey wrench into renewed political talk about expansion as a money-raising tool for government. “We’re kind of at a crossroads to see how we attract new customers,” said Jennifer Roberts, the associate director of the International Center for Gaming Regulation at the University of Nevada, Las Vegas. “Some casinos have an esports lounge, skill-gaming or some form that will attract millennials. We’re still at the early stage of this.” New Jersey, where some Atlantic City casinos have closed, has moved to allow betting on online video game competitions in hopes of drawing a newer and younger gambler. Other casinos have added video gaming space, hoping the combination of social entertainment and gambling will lure younger patrons inside. “The focus is on socialization,” said Brett Abarbanel, the director of research for the International Gaming Institute at UNLV. “This isn’t about having a replacement for slot machines. But if your entire patronage ages out, you’re stuck.” In the Midwest, the multi-year statistical portrait shows what allure remains of casinos is undermined by too many choices. Illinois, Indiana, Iowa and Missouri are home to 51 commercial casinos, while there are another 95 tribal gaming operations in Minnesota, Wisconsin and Michigan. State data show tax revenue from casinos peaked in 2005 at $699 million when there was one less casino operating in Illinois than today. In 2018, the 10 casinos up and running in Illinois generated just $272 million for the state, a decline of 61 percent over 13 years. Helping to make up for that loss at casinos — though ironically a partial cause of it as well — has been a 15-fold growth in tax revenues from video gaming since it launched in earnest in the 2013 fiscal year. In 2018, video gaming tax revenues generated $347 million for the state, more than came in from casinos, according to a recent report from the Commission on Government Forecasting and Accountability, the fiscal forecasting arm of the Illinois legislature. Over the same 5-year time frame, admissions at state casinos plunged 28 percent, the agency said. Any siphoning of casino patronage by video gaming parlors presents Illinois with a double revenue whammy, a recent ProPublica Illinois investigation of the state’s video gaming industry pointed out. The reason is that Illinois taxes revenue from video gaming parlors at a lower rate than much of the revenue generated from casinos. Sputtering casino revenues are not just an Illinois problem, according to the American Gaming Association, an industry trade group that reported 2017 revenue growth in neighboring states lagged behind the national average. COGFA found that about two-thirds of casinos in Indiana, Missouri, Iowa and Illinois reported declines in adjusted gross receipts between 2013 and 2018, with some operations recording drops of more than 50 percent. “History shows that in the long run growth in state revenues from gambling activities slows or even reverses and declines, so it’s important to take into consideration market competition within the state and among neighboring states,” the Nelson A. Rockefeller Institute on Government said in a 2016 report examining sluggish gambling revenue. “Gambling expansion is understandably appealing to officials wishing to raise revenue without raising taxes, but the long-term revenue is uncertain and potential economic and social costs require careful consideration,” the report said. There are still places in the U.S. where the growth in casino traffic and revenue remains robust, the gaming association report found. However, those locales tend to be ones with newly opened facilities or where there is little to no nearby competition. A prime example is a recently opened casino in Maryland casino near Washington, D.C. Casinos don’t operate in isolation and the addition of new ones tend to hurt business at older facilities. Rivers Casino in Des Plaines is currently Illinois’ busiest and most profitable casino, as measured by admissions and gross receipts. But its debut in 2011 presaged a decline in business at competitors in Elgin, Aurora, Joliet and northwest Indiana. Adjusted gross revenue at all Chicago area casinos, Rivers included, is down 5.5 percent, or $112 million, from 2011 to 2018, according to the COGFA study. For the Indiana casinos, revenues were off 24 percent. “This trend, where newcomers are stealing share from incumbents, is consistent with what has been occurring throughout the U.S. gaming markets,” Moody’s Investors Service said in a 2018 analysis of the New York state market, where new casinos had also hurt the business of older ones. When it comes to gambling, the allure of a new casino can wear off quickly. The number of gamblers going through the doors at Rivers has dropped 21 percent since 2013, state data show. The temptation to add gambling remains nonetheless attractive to politicians scrambling to avoid tax hikes, and Chicago faces crushing financial problems. The city has to date declined to allow video gaming parlors while past attempts at getting state permission for a casino have all floundered. Most candidates for mayor in upcoming Chicago elections have endorsed either launching a city casino or allowing the installation of slot machines at O’Hare International and Midway airports. One prominent contender, former school board chairman Gery Chico, projected a casino could generate up to $300 million annually in tax revenues for the city and ease a growing financial burden posed by a spike in employee pension costs. But political scientist Chris Mooney, an expert in state politics at the University of Illinois at Chicago, said similar proposals have hit resistance in the past in Springfield and would likely do so again. “That’s going to be a very difficult sale,” said Mooney. Citing the realpolitik of gambling legislation, Mooney said lawmakers from other communities will demand their cities also get a piece of the action even as the casino gaming pie is shrinking. Mooney didn’t flatly rule out success for Chicago, which holds the highest potential of any place in the state to lure gamblers from elsewhere. The city is by far the state’s biggest tourist and convention draw as well as its population and business center. Combine that with the urgency of financial crises in both the city and state, a new Democratic governor in J.B. Pritzker who wants to make his mark and a Democratic legislature eager to work with him, and Mooney sees at least an opening for action. “But,” he added, “I wouldn’t bet on it.” This story was produced by the Better Government Association, a nonprofit news organization based in Chicago.